image courtesy Department of Agriculture. WASHINGTON -- The second of two eaglets in Washington D.C., was hatched Sunday. The second egg started the "pipping" process around 9 a.m. Saturday. Hatching can take 12 to 48 hours from that point to fully emerge, an American Eagle Foundation spokeswoman reported. The eggs are in a nest with a male and female bald eagle, named "Mr. President" and "The First Lady," in a tree at the U.S. National Arboretum. The arboretum is operated by the United States Department of Agriculture. The first eagle chick hatched Friday around 8:15 a.m. It took roughly 36 hours. The male and female have been taking turns sitting on the eggs. It's the first bald eagle pair to nest in this location since 1947. 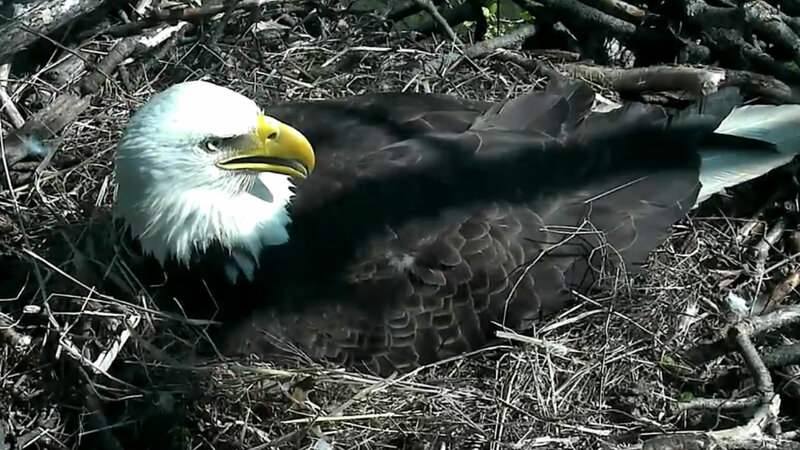 A livestream has been provided by the National American Eagle Foundation and DC DMC. But be careful not to get too attached. Here's the warning posted underneath the live feed: "This is a wild eagle nest and anything can happen. While we hope that two healthy juvenile eagles will end up fledging from the nest this summer, things like sibling rivalry, predators, and natural disaster can affect this eagle family and may be difficult to watch." DC DMC has been recording livestream.